LYME IS TOUGH. AND COMPLEX. AND EXHAUSTING. ... and that's an understatement. Do you spend hours on the computer every night searching information about Lyme treatment, but just end up overwhelmed and still not knowing what’s right? Do you love your LLMD but want a more integrative approach? Do you hear about all kinds of treatment options but not know which ones may be right for you? Lyme-Ed solves that confusion. In over 20 hours of valuable content, you can learn everything you need to know about adopting an integrative approach to Lyme - including what adopting an integrative approach actually means! Learn the nuances that you won't find anywhere else - what to do if antibiotics stop working, how to use a herbal co-infection provocation to assess which co-infections are dominant for you, strategies for emotional healing and ways to break through detrimental neural pathways, and 10 key factors that can hinder your recovery. If you want to understand the complex illness that chronic Lyme disease is, make sure you are covering the bases you need to cover, or find new ideas for your treatment, Lyme-Ed is the program for you. 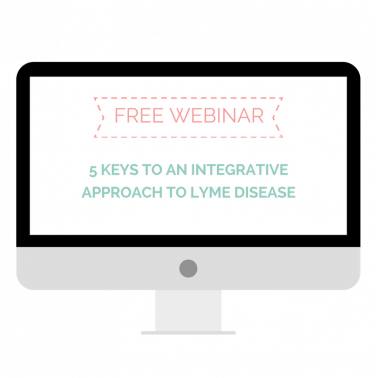 Click below to view our FREE workshop, Five Keys to An Integrative Approach to Lyme. Want to Learn More About Integrative Lyme Treatment? Simply fill out this form to receive a link to our exclusive webinar recording. We have a course tailormade for you! It can get ugly, difficult and complicated. That's why we created Lyme-Ed: to drive clarity, direction and guidance to the otherwise hazy and exhausting treatment that is chronic Lyme. Lyme is not straight forward. Sign up today and you will receive two bonus modules! Lesson 4 - How Is Lyme Disease Transmitted? Lesson 2 - Differential Diagnosis/ Is Lyme Auto-immune? Lyme Ed changes the game. See what industry leaders are saying about the course. 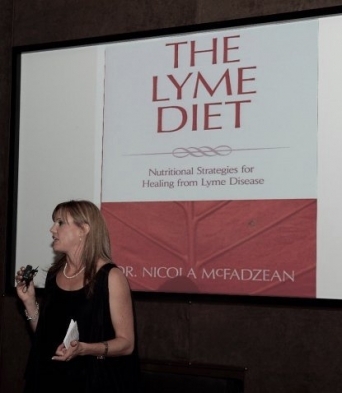 "Lyme-Ed empowers the viewer with extensive knowledge on Lyme disease from leading Lyme doctor, Nicola McFadzean Ducharme. The program is a powerful collection of information that covers every aspect of how she approaches treating the condition in her own practice. If you want to understand the treatment of Lyme from an expert with years of clinical experience, this is not to be missed." Ready to learn the ins and outs of integrative Lyme treatment? Take advantage of our special introductory pricing.